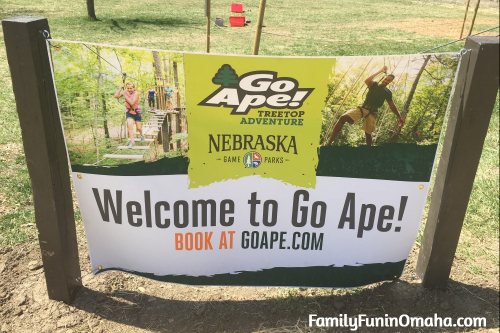 Special thanks to Go Ape for providing passes for us to experience the Treetop Adventure Course. Some of the links are affiliate links, which means when you make a reservation using my link, I may make a small commission at no additional cost to you. 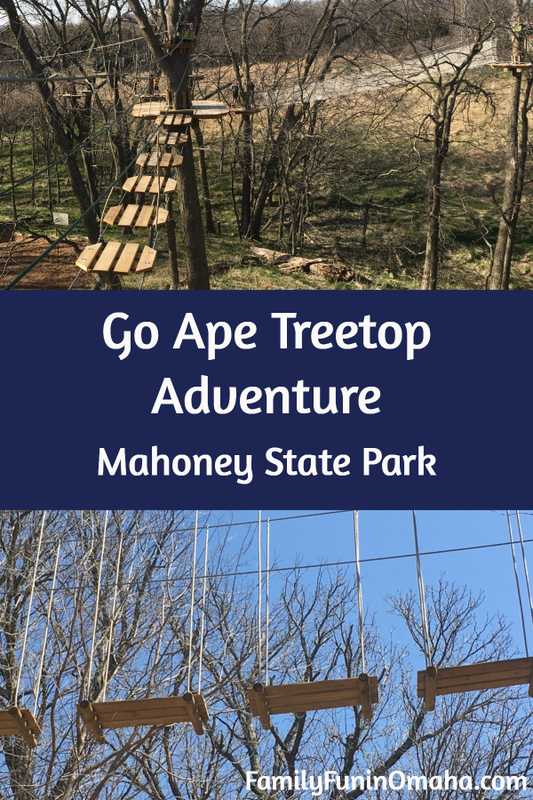 Watch and get a taste of the Exciting Adventure awaiting you at Mahoney State Park! 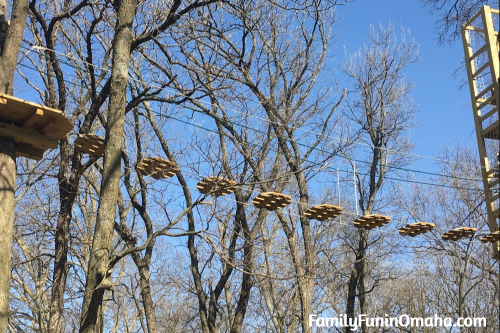 Get ready to complete exciting challenges and relax and take in the beauty on the Zipline Rides! 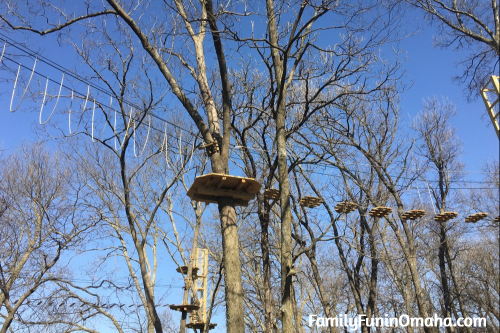 The Go Ape Treetop Adventure course is divided into 6 sections. 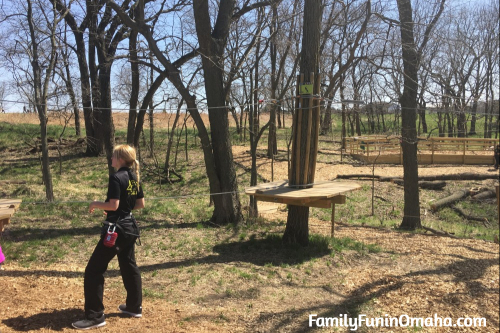 The first site is the training site, with one challenge and a small zipline, to help you practice using the equipment and learn about safety. 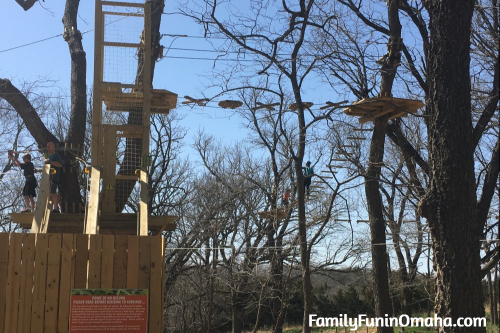 The other 5 sites have about 4-5 obstacles, each ending with a thrilling Zipline! 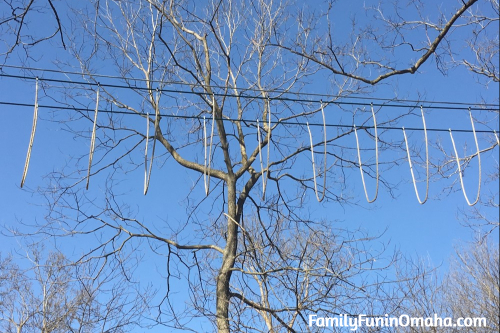 Being a little afraid of heights, I was not sure if I would be able to complete the course. Keeping my focus on the challenge ahead of me, and the next step I needed to take really helped ease my anxiety. I felt safe the entire time and my confidence grew with each challenge that I completed. Once a staff member gets you started on each site, guests will go on the course independently and self-paced, with guidance from the staff below, if needed. 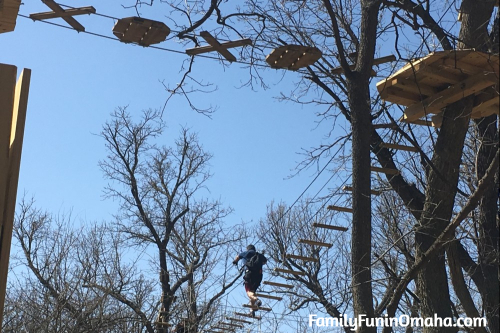 I loved this as I never felt rushed and was able to take my time to complete each obstacle. At some of the platforms, guests can choose between moderate and difficult challenges. 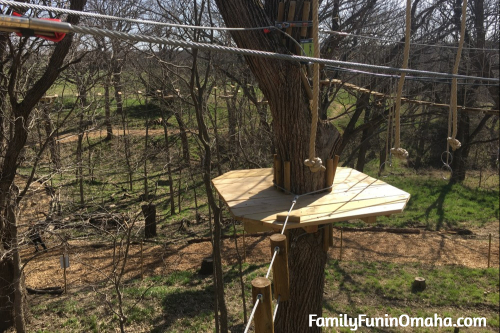 Family and friends can also watch from the trail below! 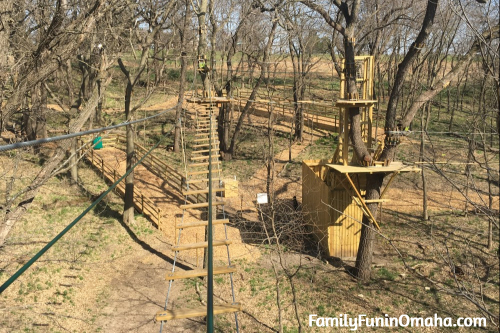 The Treetop Adventure Course includes a variety of challenging obstacles – some are easier than others, but all involve traversing from one platform to the next. I thought the Flying Carpet was the most challenging! 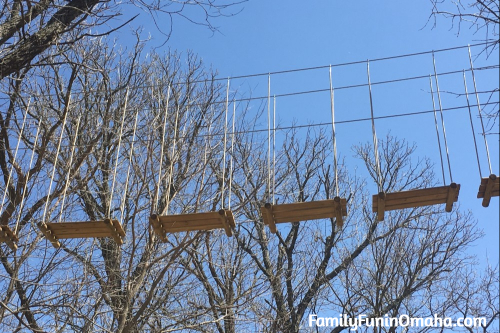 Looking back, some of the obstacles are scarier or more challenging than others, but the excitement and confidence you feel afterwards is amazing! 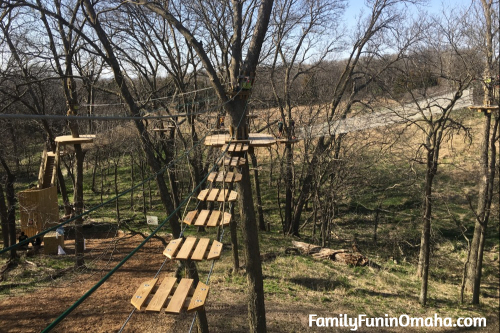 Although we were high off of the ground, I felt safe the entire time! The first half hour is spent getting everyone’s equipment on and secure, and showing you how to use it. Each person is attached to a cable the entire time you are on each site. 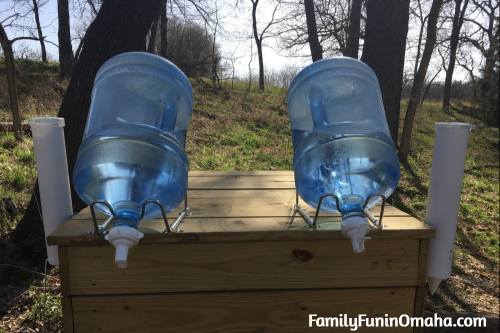 Water coolers are at the beginning of each course and so you do not need to worry about bringing water with you. 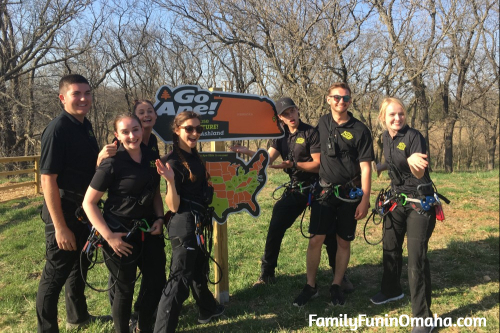 Go Ape does an excellent job of providing safety training and showing you how to maneuver the trolley and the carabiner. In Site 1 (which is low to the ground), each person practices using their equipment with the staff ready to help. The entire staff was enthusiastic, happy to answer any questions that we had, and encouraging along the way! A Park Permit is required to enter Mahoney State Park. Supervision Requirements: One participating adult (19+) is required to supervise up to four youths (ages 15 and under). 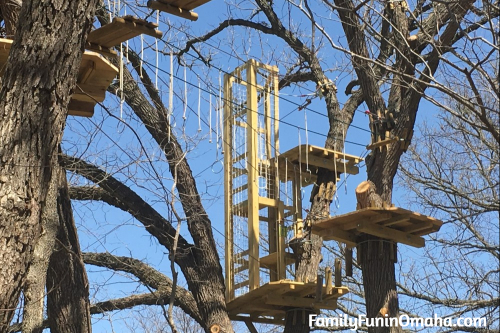 Participating adults may not supervise from the ground. 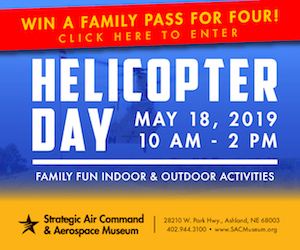 *** 16-18 year olds do not require a participating adult, but do require a waiver signed by their legal guardian. 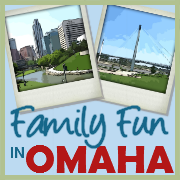 Participant Requirements: Minimum Height is 4’7″, and Maximum Weight is 285 lbs. 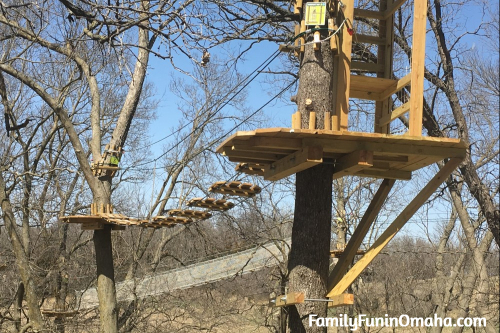 Go Ape has 16 locations around the United States, with some offering a Treetop Junior course! Helpful Tips: Wear closed toe shoes, dress in layers, and arrive with a little extra time to use the restroom and relax before your adventure begins. Gloves are also an excellent idea to help protect your hands. 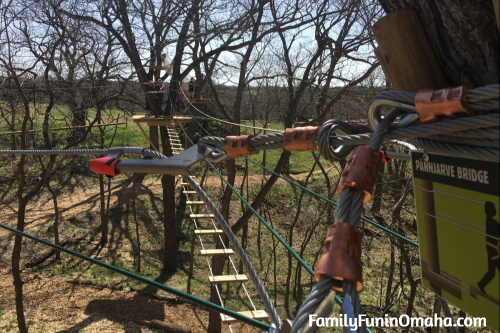 Ready for an exciting and challenging adventure? 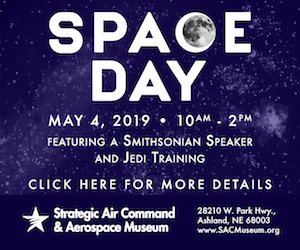 Get started and reserve a time and purchase tickets here!